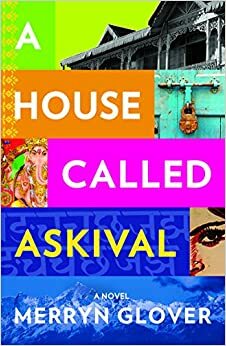 Merryn Glover’s debut novel A House Called Askival was released in paperback in May. Set in the hill-station of Mussoorie in north India, A House Called Askival is the story of three generations of American missionaries caught up in the political and personal turmoil of religious conflict. Spanning Partition to the present day, it looks at India's bigger events through the lens of one family and is, at heart, the story of a father and daughter seeking peace - with each other and with their past. Merryn’s parents are Australian, but she grew up in Nepal, India and Pakistan where they worked as missionaries through the 1970s and 1980s. She married a Brit, and now lives in the UK. I talked to her about how her childhood had influenced her writing, and about expatriation. To what extent, if at all, is your novel autobiographical? I attended a boarding school in Mussoorie which is the basis for the novel’s fictitious Oaklands School, and many of the themes and questions I explore were very real for my own family and friends. Themes about belonging and home, faith and culture, call and sacrifice, loss and forgiveness. Beyond that, however, the actual characters and events - apart from the historical ones - are invented. What is distinctive about a childhood on the Indian Sub-Continent? Growing up in India is an intense and conflicting experience. Every day you are confronted with beauty and brutality, with sensuous experience that can enrich or overwhelm, with human need and resourcefulness, colour and contradiction. It gets under your skin and never leaves you. At the same time, though you are forever tied to India, you are always a foreigner. I think my first novel was always going to be about India, perhaps as a way of returning, of staking my place there, of sealing the bond. How important was it to you to convey spirit of place? Very important. The spirit of place is a force in itself and the monsoon is almost another character. Asia is still host to many expats. Do you think your novel would resonate particularly with them? This is certainly what I am hearing from readers. Anyone who has made a home in another country and culture will relate to the novel's exploration of being a stranger in a strange land and yet falling in love with it and being forever marked by it. Of one character, the novel says, "Ellen had embraced India, and in return, it had devoured her." Of another, James, who was born and brought up there: "he was as good as Indian anyway...His feet didn't so much walk on the ground as rise out of it." An Indian character, reflecting on her influence over the American family muses: "India, she understood, conquered the foreigner first through the senses, and only later claimed the mind." What advice would you offer expats wishing to write novels set in their adopted homelands? Do it. Many people dream of writing a novel, and plan it, but never get around to it. While you are living in your host country, ask lots of questions and take lots of notes. Keep journals and scrapbooks, keep newspaper cuttings. If you are like me, you won't bring shape to it all till you have left because it's only out of reflection that you see the story you want to tell. Be specific and authentic in your portrait; don't slide into stereotypes or travel guide speak. Get people from your host country to read your draft to make sure you have got things right. Finish it. You won't regret it. A House Called Askival is published by Freight Books in paperback and as an eBook. Priced in local currencies. It is available in Asia from online book stores.